The survivor is Peterson. Peterson has been hiding in Canada's frozen north but a minor offence leads to him being finger printed. A renegade police officer on the pay of Banks has been passing police information to Banks. Only Peterson knows the identity of the mole but Banks is on his way up north to kill Peterson. The senior police Chief must get to Peterson before Banks and his men. Robert Laye, a police officer working in the area and Maddy Pearson, a young woman working for Peterson combine forces to help the ""Chief"" solve the mystery of the mole in the police force. Cliff Robertson is the son of a Canadian father and an English mother and has lived and worked in both countries. Cliff has travelled extensively in the Canadian Bush, fishing and camping. It was while working in Canada's far north that he learned some of the ways of the native people and fell in love with the wild and sparsely populated northland. Cliff is now retired and spends his time writing novels with the Canadian Rockies as the back drop. He lives with his wife Sylvia in the Victorian seaside resort of Seaton Carew near Hartlepool, a seaboard town on the north east coast of England. 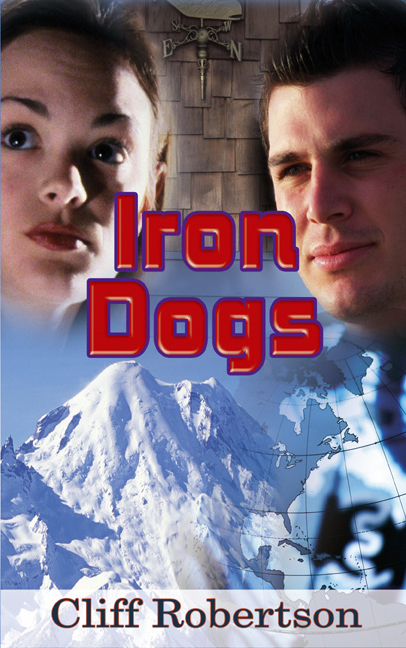 Iron Dogs is his debut novel.